You're assured a comfortable workout with this high density foam exercise mat. The Personal Exercise Mat has a ribbed side for grip and adhesion and a smooth for controlled sliding movements. 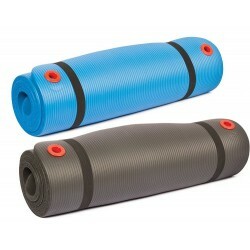 Lightweight and easy to roll up, this Exercise Mat has an eyelet design for easy rack storage. 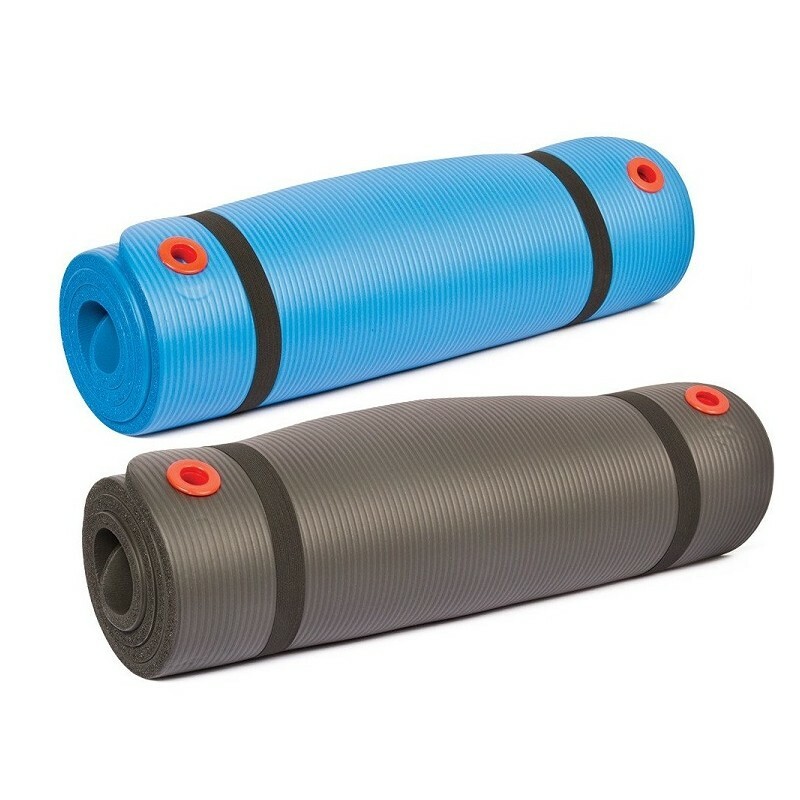 Included with the Personal Exercise Mat is a convenient carry strap for travel. • Smooth and ribbed surfaces. • Comes with carry strap. • Use for isometric, stretching and abdominal workouts. • Eyelet design for easy rack storage. • Features 1 ribbed side and 1 smooth side. • Mat rolls up for easy storage and portability. • High-density foam for durability and comfort.